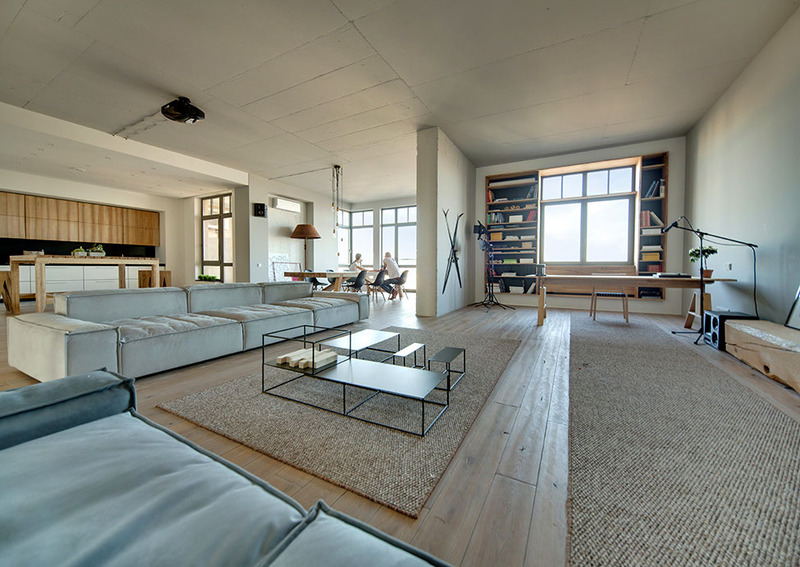 This three level loft apartment located in Kiev has been designed by Thank Balbekof 2B Group. Wood, concrete, glass, metal, exposed brick – all these materials found their place in main living area. A green wall in the living-dining space brings nature indoors and a small terrace just above it allows a fantastic view of the mirror-framed ray-textured wall displaying the TV and sound system. The living area is particularly inviting, featuring numerous inspiring details like the concrete wine rack with the Braille type dots, the stone poufs or the original ceiling lighting scheme.